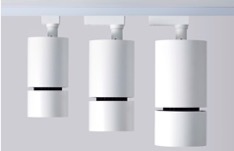 Studio, a collection of LED track projectors for commercial applications, received an award from Architectural Record for it’s revolutionary design and technology. The timeless aesthetic and elegant proportions of the track head, mixed with a proprietary heat-sink made the Studio a clear choice. Studio produces up to 5,000 lumens (100lm/W) and is at the top of it’s class for performance among it’s competitors. The proprietary light weight heat sink allows for an even disbursement of heat, providing reliable and consistent, white light, to prevent color shift. 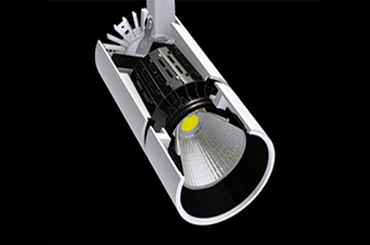 The LEDs in Studio are LM80 tested for reliability and color consistency, with a CRI up to 97.